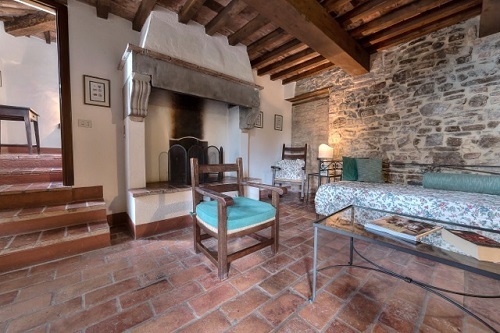 8 apartments have been created within this typical 18th-century Tuscan farmhouse and 2 houses, Scuderia and Terrazza, developed from an separate barn. Although renovated, the complex has kept its original structure. 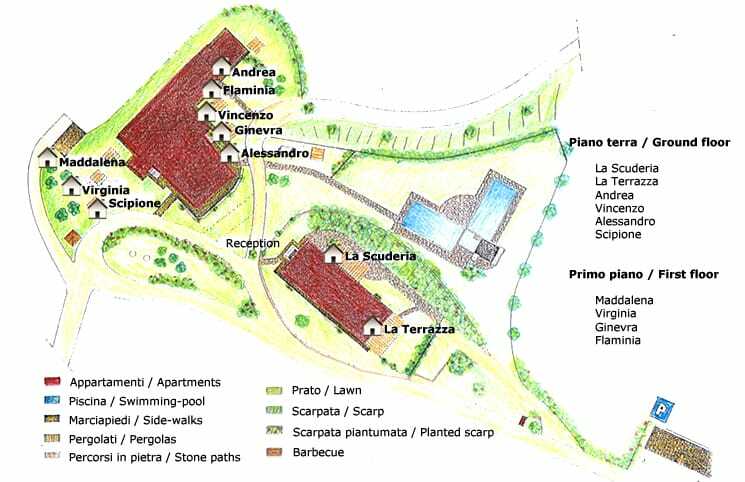 The Apartments differ in the number of beds (from 2 to 8) and bathrooms (from 1 to 3). 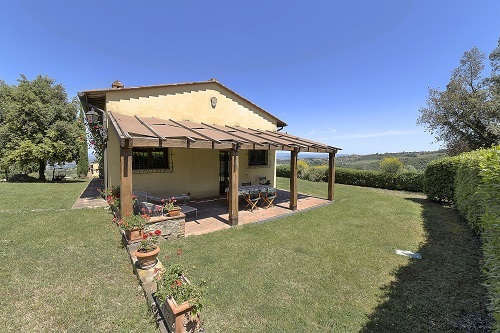 They are all furnished in rural Tuscan style with wooden beam ceilings and cotto floor and they offer all the comfort as satellite TV, a fully equipped kitchen with oven, dishwasher and fridge. Each apartment is provided with a covered private parking place and its own separate wood sheltered veranda with table and chairs. 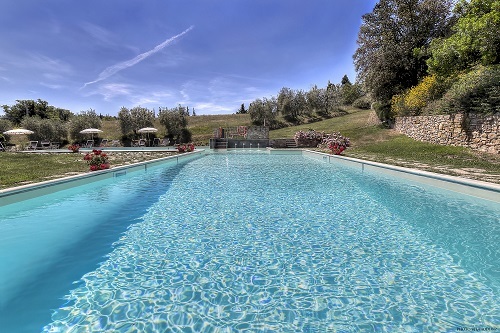 In the large meadow in front of the house, each unit has its own independent solarium area with beach umbrella, comfortable deckchairs and sun loungers where guests can relax and enjoy the quiet of the countryside. 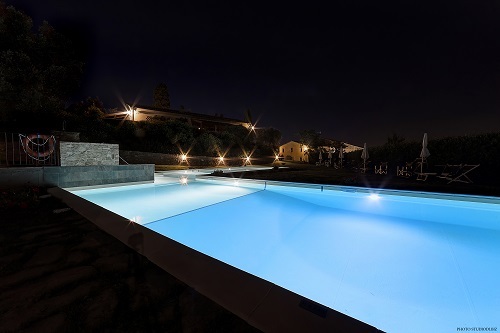 A large swimming pool complete the green area of the property with 2 pools sized 12 x 6 metres connected to one another by a children’s pool. 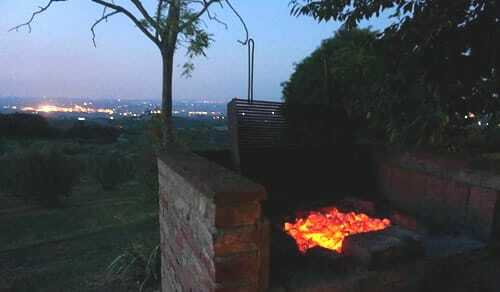 Furthermore, a brickwork wood barbecue, just a few meters from the house, is available for all guests to make tasty grills. 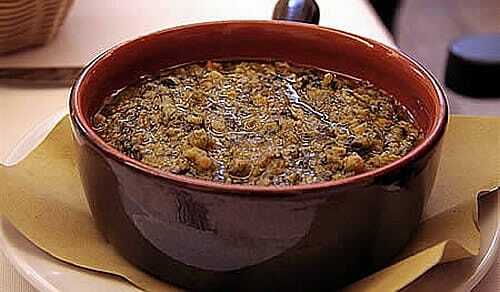 On request and upon payment, a cook can prepare typical Tuscan dinners directly in the apartment. Every morning around 9 o’clock, also on Sundays, a local baker brings fresh bread, pastries, cakes and much more. 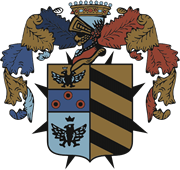 The country estate provides unlimited free Wi-Fi connection in the entire property. 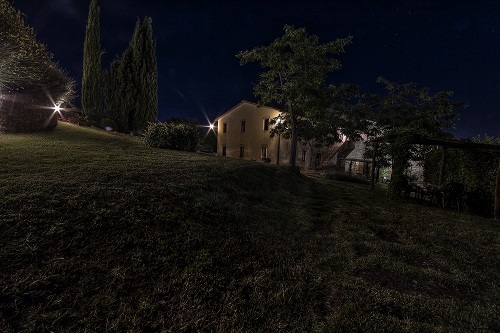 At Podere Moricci the guest can find the typical atmosphere of a comfortable and elegant Farmhouse holiday in Tuscany. 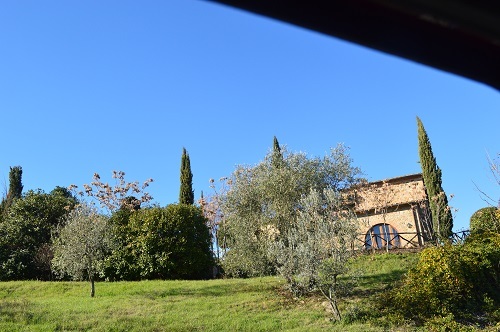 Podere Moricci, Montaione, 12 km from the center of San Gimignano, 8 km from the center of Certaldo, 22 km from the center of Volterra.